The mission of the Manhood Development Institute (MDI) is to provide life-skills training and life coaching to fatherless young males, in order to help them develop into successful men, husbands and fathers. Our American society unfairly expects young males to grow up and become educated, skilled, industrious, responsible, spiritual men of character without the benefit of fathers or positive male role models to teach or coach them in the development of manhood traits. Approximately 50% of all young American males live apart from their fathers. (70% are African-American males, 35% are Hispanic, and 26% are white.) Due to a lack of fatherhood training, and positive male role models, these young males experience severe social problems that hinder them from developing into successful men, husbands and fathers. 70% of juveniles in state operated institutions, and 85% of all youth in prison are from fatherless homes. 63% of youth that commit suicide are from fatherless homes. 75% of youth in chemical abuse centers are from fatherless homes. 80% of rapists with anger problems come from fatherless homes. The MDI provides fatherless young males an opportunity to acquire the training and develop the skills necessary to become successful men, husbands and fathers. Junnus Clay has over 30 years' experience training, teaching, and coaching men in the principles of successful living. He holds master's degrees in Business Management and Education; is an ordained minister, business consultant, and licensed counselor. 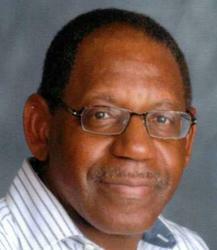 He has served and worked in various capacities: as a pastor/teacher in Birmingham, Alabama, an urban youth director in Houston, Texas, director of a men’s drug rehab center in Atlanta, GA; a social worker in southeast Atlanta, a college teacher and non-profit business consultant in Marietta, GA.
Junnus has been married for 40 years; and he has 3 young adult children, and 2 grandchildren. In addition to his own biological son, Junnus has mentored and coached many young men who are now successful husbands, fathers, teachers, pastors, businessmen, etc.